Orifice Flanges Manufacturers, Suppliers and Exporters of india. We are specialized in manufacturing high standard quality of Orifice Flanges. 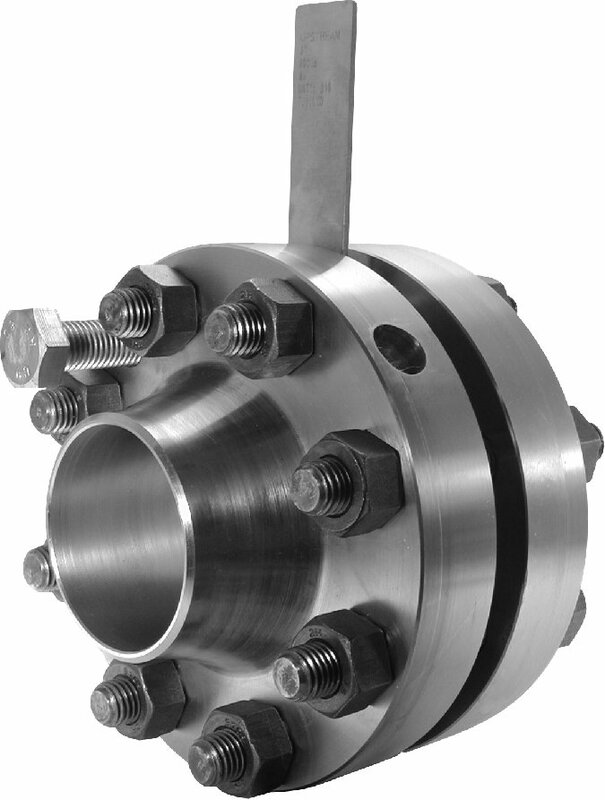 The main purpose of an orifice flange is to offer admittance to a pipe line for metering of liquids or gases. An orifice plate is compressed between a couple of flanges when it is being installed in a pipe line and the entire meeting is referred to as an orifice flange blending. Jack-screws in the meeting make an easy elimination of the orifice plate. Meanwhile, the orifice plate, which is the metering tool, includes a thin plate by means of a square edge, concentric, and round hole in the hub. Two pressure tap-holes are also pierced in each flange for to gauge pressure dissimilarity all the way through the orifice. Orifice Flanges are used as an alternative of the standard pipe flanges when flow nozzle or orifice plate is used. The orifice plate is an altogether separate product and is not being sold as a part of the flange assemblage. These Flanges are extensively used in different applications industry. They are obtainable in different sizes, specifications, grades and thickness as per the client’s requirements, and are offered to leading prices in market.